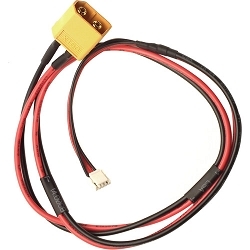 CONNEX by Amimon is an innovative Wireless HD link for professional UAV drone applications. Leveraging Amimon's leadership in the wireless video market, CONNEX brings broadcast HD video quality and robustness standards to the rapidly evolving UAV aerial video arena. Designed from the ground up for UAV drone applications, CONNEX packs the performance, form factor, interfaces and reliability required for getting the job done; anywhere, anytime. All professional UAV HD applications now share the same requirement a robust wireless HD video downlink. CONNEX, delivers excellent HD image quality, zero latency, and the highest levels of robustness. CONNEX employs Amimon s revolutionary HD video technology, widely regarded as the industry standard in the broadcast and cinematography markets. 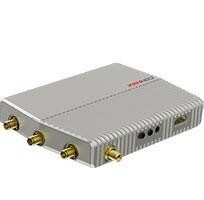 It s 5GHz radio, 2x5 MIMO and automatic channel selection ensures resilient connectivity, free from interference, specifically from UAV controls and 2.4GHz links. The zero-latency transmission offers live, real-time imaging for broadcast, inspection, and mission critical applications. CONNEX's multicast feature supports four screens simultaneously, each receiving perfect HD images. True full HD 1080P at 60fps: CONNEX is the real deal; It is real Full HD, and real 1080P 60fps video. CONNEX allows you to inspect, to broadcast or to monitor anything with the highest resolution and in the highest quality. Up to 3,300ft/1,000m range (LoS): CONNEX supports a range of up to 1000m or 3300ft, and gives you all the distance you need for your professional missions. Zero latency, real-time video: Less than 1mS latency is zero latency. CONNEX does not buffer or hold your video; It provides you your video without delay, so that you can see and control it in live. You can use CONNEX video to fly, aim the camera, or control the gimbal and the drone. Extremely resilient 5GHz. digital link with AFS: CONNEX operates in the 5GHz band. 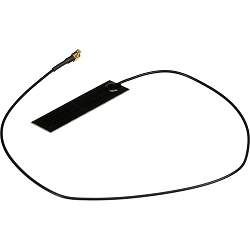 By doing so CONNEX does not interfere with your 2.4GHz based remote control signals. 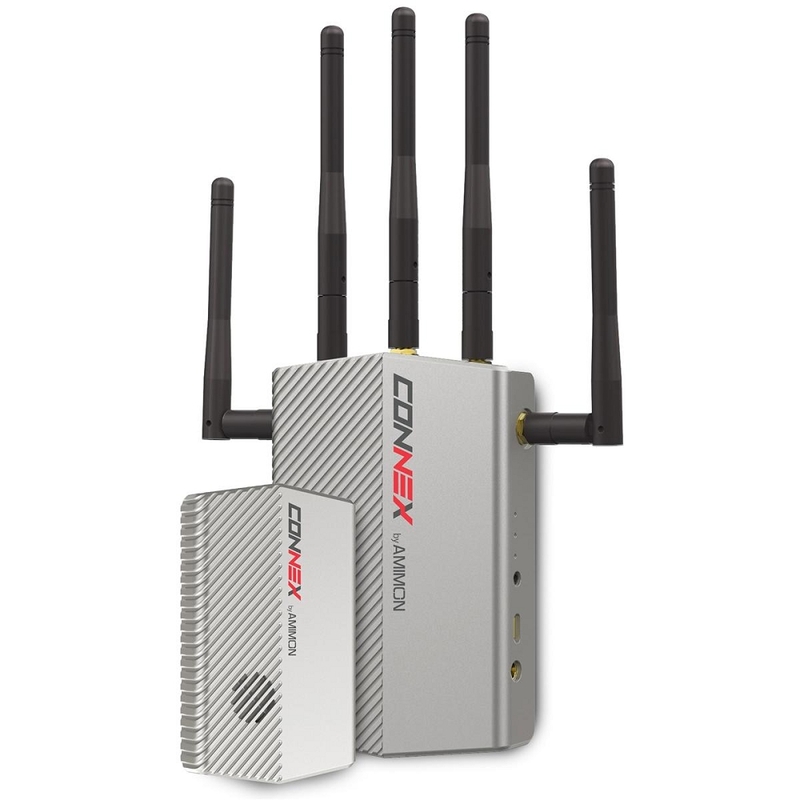 In order to promise the link robustness, CONNEX Automatic Frequency Selection will choose the best available channel to be used. Encrypted and secured: CONNEX employs AES128 for the video encryption and RSA1024 for key exchange to promise that your content is protected. You can rest assure that your content remains only your content. Built-in OSD view (MAVLInk based telemetry): CONNEX On-Screen-Display (OSD) is a great way to see your flight status. The OSD shows both information about your wireless link status, and MAVLINK based telemetry from your drone flight controller. Gimbal control over Futaba S.Bus: CONNEX also supports the control of your SBus based Gimbal on the drone. using Futaba S.BUS from the remote control you can use CONNEX to simultaneously get video from the drone and control the gimbal on it. Plug-and-Fly, out of the box setup and operation: CONNEX instantaneous setup allows you to start working immediately. You will get amazing video quality running on your screen in no time, allowing you to focus on getting the results you need.